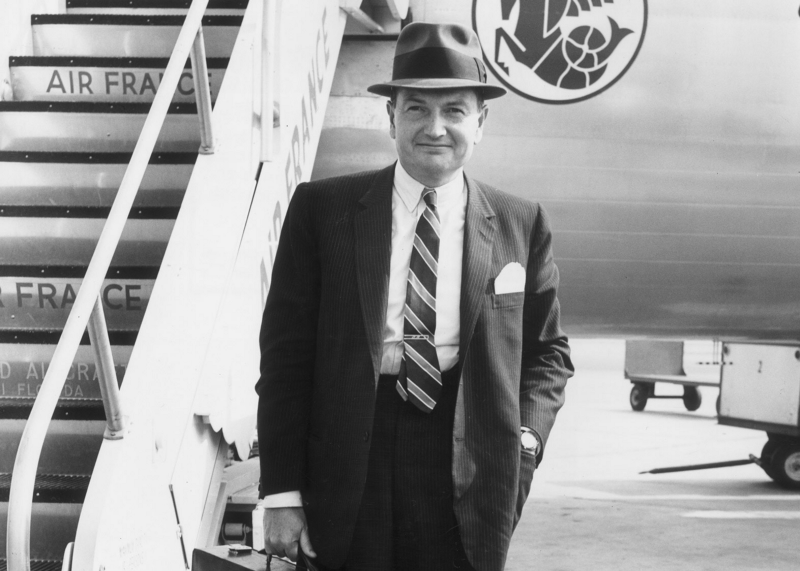 David Rockefeller at New York International, 1963. Source: Hulton Archive/Getty Images via Bloomberg. 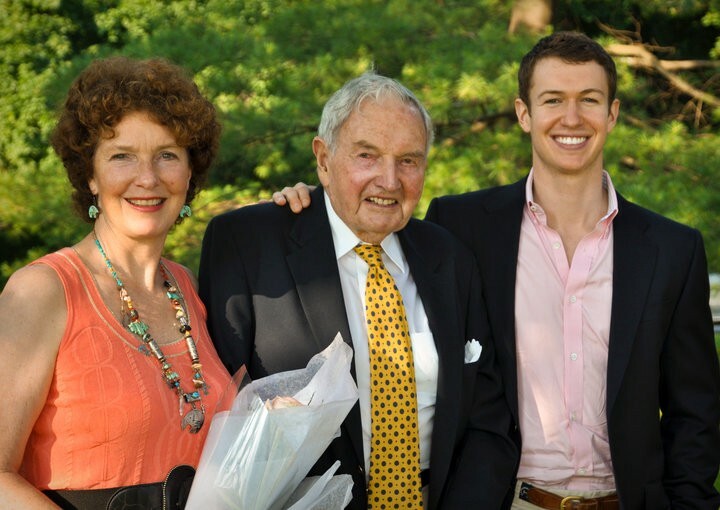 My grandfather, David Rockefeller, died on the morning of March 20, 2017. He would have turned 102 this year. 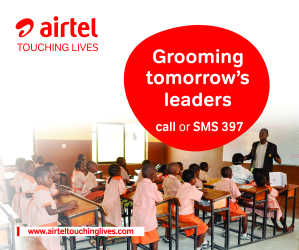 He was the man who had a greater tangible impact on the world than perhaps anyone else I know. And at the end of the day, he was also just my Grandpa, the father of my mother, the husband of my Granny, and a friend to countless people who loved him. The historical side of my grandfather’s story has been told in many different forms. This is my way of honoring him, by sharing some of the lessons I have learned from the example of his life and death. My grandfather was a toastmaster par-excellence. At almost every meal, whether an intimate family gathering or a formal dinner with presidents or prime ministers, he would delicately tap his wine glass and make a toast: the details varied, but the theme was always deep appreciation for the people present. As he got older and his energy diminished, his words were often simple. “I just want to tell you that I love you all very much,” he would say, “and I can’t think of anything better than being with you right now.” Especially in his later years, his favorite activity was simply spending time with family and friends. At one of his last meals, Grandpa seemed like he had never tasted food before. After almost every bite, he would exclaim, “This is the MOST delicious food I have EVER eaten.” His senses may have been heightened by his closeness to death, but this was also not an unusual thing to hear from the man. On many occasions I heard him say things like, “I do think this is the very best creme brûlée I’ve ever had.” When it comes to gratitude, there is no such thing as too much enthusiasm. My grandfather was one of the most universally respectful people I have known. When I traveled with him, I noticed how egalitarian he was in his interactions: he gave hotel porters the same attention and courtesy as he gave world leaders. Walking around his bedroom after his death, two photographs stood out to me: one was of him shaking hands with Queen Elizabeth, both of them looking equally delighted to be meeting each other; the other was a framed photo of himself with his personal office staff, in which he was beaming as brilliantly as when he met the Queen. Grandpa related to all of his employees as close personal friends, and in my experience they loved him just as much in return. My grandfather was a deeply kind man. His instinct was to find something to appreciate in any situation, and I rarely heard him speak an unkind word to any person. The only times he was grouchy or critical were the times when he was tired, hungry, or anxious. From watching him, I realize that when we feel full and at peace in our own lives, our sense of well-being naturally flows into how we relate to the people around us. From large-scale philanthropy — he gave away nearly $2 billion over the course of his lifetime, with an extraordinary impact on New York City, the United States, and the world as a whole — to his concern for the individuals in his life, Grandpa cared enormously about the people and world around him. Whenever he heard about a problem, whether on an individual or societal level, his first response was to ask those whom he trusted, “What can we do to help?” The verb “to give” is translated into Hebrew as natan, and the symbolism of the palindrome was something I observed in my grandfather’s life: the energy you give away will return to you. Grandpa gave to the world with deep and intuitive generosity, and I believe that aside from time with his family, this was his greatest source of happiness and fulfillment. Grandpa was a creature of habit. When I went to visit him for dinner, I never had to ask what time: it was always cocktails at 6:30, dinner at 7:00. He kept the same type of after-dinner peppermints on the table in all of his homes. For decades, he hosted a Christmas caroling party on the second Thursday of December. I think he found comfort in regularity and peace of mind in the predictability of structure. The downside of Grandpa’s penchant for consistency was his difficulty accepting changes or deviations from decorum. If people didn’t show up on time to dinner or weren’t dressed properly for the occasion, I could see the struggle on his face as he worked to reconcile the new reality with his expectation. This often manifested as sharp words or a stern look of disapproval. But as he got older, he softened dramatically. As he needed to take more frequent naps his ability to stick to his own schedule changed, and when he realized it was okay to be more fluid about his plans, that extended to his acceptance of people and circumstances outside his control. I experienced his greater happiness and peace through this attitude of acceptance. This was Grandpa’s final lesson. He loved life passionately and had a powerful will to survive. Over the last decade, every time we thought he might be at the end he would surprise us all and surge back to health. But he had aged, and as his 101-year-old body struggled more and more over his final days, no amount of supplemental oxygen or medication could keep the life force moving through him. In his last moments, surrounded by family, my beloved Grandpa finally accepted that this was it. His eyes closed, his breathing slowed gradually to a stop, and he just let go. Joseph Campbell wrote, “I don’t believe people are looking for the meaning of life as much as they are looking for the experience of being alive.” My Grandpa’s final lesson offers an instructive insight into that experience of aliveness to which Campbell refers. Letting go is something that death helps us all do in the end, but life also invites that possibility in every moment. Whereas letting go in death is a kind of exit, letting go in life is a powerful entry into the present moment, through the portal of total acceptance — of what has come, and gone, and is. Life happens now, and second-guessing the past or worrying about the future are obstacles to our fullest experience of being alive in the present. My grandfather lived long and well. He had tremendous visions for the future, many of which he realized over the course of his life, but he never lost touch with the simplest joys of the moment — tasting his food, connecting with the people he loved, and recognizing the common humanity in everyone. I am grateful to him for all of his living lessons, and for his graceful example of letting go when that’s what there was to do.